Water is vital to our existance and that of the earth itself. No country has its sufficiency forever. Hence, it needs to be saved to guarantee a longer stay of human beings and a better life . The only way to preserve it is to it to raise consciousness of people to make a better use of it and to think about the impossibility of life without it. 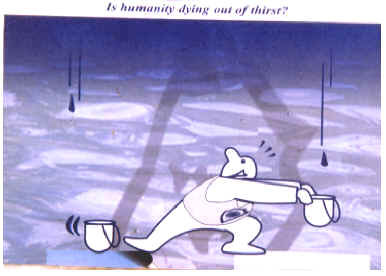 This is why we thought the issue is worth raising to draw attention to its scarcity and the need to preserve it to save humanity from death of thirst.